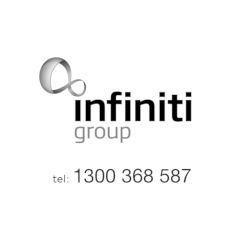 The Infiniti Group Australia & Chemform Brewery Program has world-class products and systems, resources and outstanding service to ensure you succeed. We take the time to understand your business and ensure we deliver not just brewery chemicals, but a customised solution - for every part of your brewing process. Brewer’s Own Alkali Clean is a heavy duty alkaline detergent designed to specifically remove soils encountered in the brewery, beverage, dairy and food processing industries. Brewer’s Own Alkali Clean can be used to great advantage for the removal of fats, protein and organic matter from stainless steel process equipment. Brewer’s Own Oxysan is a fast acting, non-foaming sanitiser compromising a stabilised blend of hydrogen peroxide and peracetic acid. Brewer’s Own Oxysan is ideal for the brewery, beverage, dairy and food processing industries. Brewer’s Own Acidic Cleaner Sanitiser is a 2-in-1 heavy duty acidic cleaner & sanitiser specially designed for the brewing & beverage industries. Brewer’s Own Stone Clean is a highly effective and heavy duty beer stone acidic cleaner specifically formulated for the brewery industry, beverage and food processing industries. Brewer’s Own Alcohol 70% Sanitiser can be used to sanitise hands and hard surfaces in many areas including breweries, kitchens, toilets, eating areas, food processing areas etc.